The LMH6-11 Heavy Duty connecting harness is designed to handle all access control applications where an 11-pin Box type connector is required. 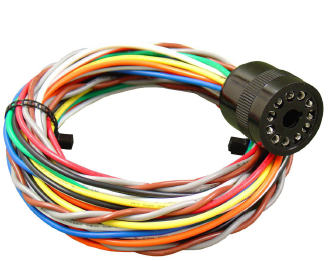 Four feet in length, the LMH6-11 connecting harness is the recommended harness for Eberle Design s LD-1150, LD-1250, LD-100, and LD-200 series vehicle detectors. Wrap-around socket / pin design provides a tight connection to each pin contact. This results in long term reliability to your access control systems.